Ricoh has put some details about their new Theta camera on their website. 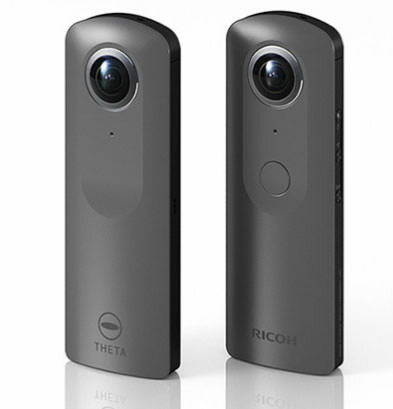 Ricoh have released details about the new Theta 360 camera due to be announced at IFA in Berlin in September. The Theta SC released in 2016 is the previous model. The latest model will shoot 360 degree 30fps 4K video and has a built-in 4 channel microphone that can record spatial audio that links to 4K videos. It will also be capable of 360 degree 4K live streaming. The camera will run on an android based operating system that will make functions expansion easily possible. Ricoh say the final design, product specifications, exterior, pricing and availability are yet to be announced - these will most likely be revealed at IFA.